Creating a ceramic design from scratch is a process thousands of years in the making. In fact, prehistoric pottery dates back to 4th millennium BCE. If it’s going to last millennia, it’s worth making well, and as the ceramic manufacturer of choice for some of the world’s most famous private labels, we’d love to share how we do it. Initially, it’s hard to believe a full year is taken to create and develop new stock. Shipping and dispatch to stores! So, what exactly forms the process for creating and developing new products from the ground up? Ceramic design all starts with an idea. 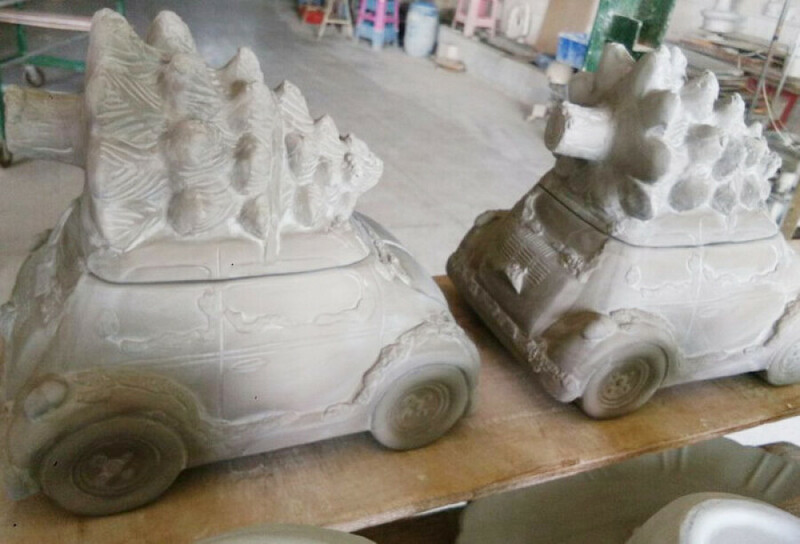 Let’s take figural novelty ceramic design for example, which are some of the more involved and creative products that we develop for our customers. 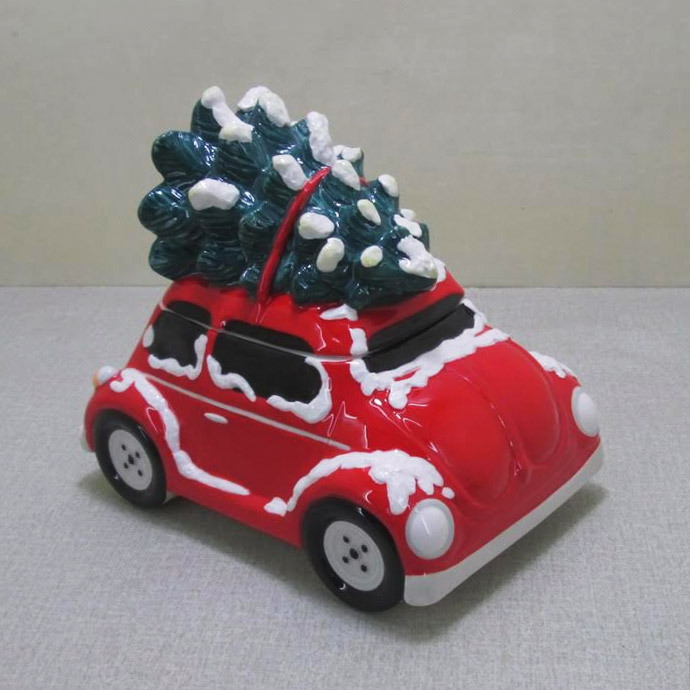 Lovingly hand sculpted and hand-painted, these 3D pieces of art are designed for the pure novelty factor and are often the show pieces for seasonal in-store displays, particularly during Christmas. Our merchandising team is contacted and briefed by the buyer on the concept and specific ceramic design requirements such as colour, size and characterisation for the new product. One of our brilliant designers apply their creativity and knowledge of the product to fulfil the brief in the form of line drawings, specifying intended dimensions for initial customer approval and pricing. Upon presentation of the drawings, there is typically a selected design that we work with the client to tweak until they’re happy to proceed with sampling. The designer creates further drawings with more detail to show the object from different angles with detailed measurements and descriptions of textural effects and embossing. It can take time and be a little tedious, but it is crucial to get the design right at this stage to help avoid changes later on. The approved drawings are now ready to be sampled. This is where the magic happens! Figural, hand painted ceramic is one of the few remaining, mass produced products that is still made by hand. The sampling artist studies the drawings and creates a 3D sculpture from the designer’s artwork. Our skilful and experienced artists use different techniques to create textural effects and embossed details, keeping in mind the technical difficulties of the fragile ceramic material in mass production. Once the sculpting artist has completed their work, a mould of the item is created. The raw ceramic product is poured into the mould and left to dry. The dried bisque is then hand painted and fired in the kiln. The bright and glossy finished samples will now be reviewed. We receive feedback and approval for the next step: full-scale production. Revisions to the design may still be made at this stage if a customer is not happy with the sample. Doing so will mean a repeat of steps 3-6. Revisions at this stage of the process can be time consuming and expensive, that is why at every step the Stoneage team work carefully to get it right the first time. Of course, we’ve just touched the glossy surface. It’s the finer-detail considerations factored in at each step that make the process so challenging, yet exciting and satisfying. We truly love seeing the new ceramic designs come to life for our customers. What’s the next step? In Bringing Ceramic Designs to Life Part II, we’ll learn more about photography and packaging, mass production and shipping, and final dispatch to stores. Can we help you design your latest range for next season? Get in touch for an initial discussion, and be sure to subscribe to the Stoneage newsletter.